Crane rental is critical for many construction and industrial jobs. You might be searching for a crane to bare rent (without an operator), or you might need a crane service (with an operator). 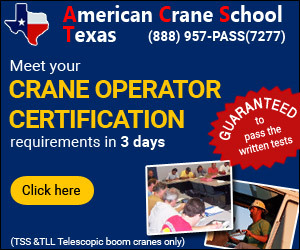 The crane rental service providers on Cranehunter.com are here to assist you with your lifting and rigging needs. Whether hoisting air conditioners, trusses, spas, roofing, or setting light poles, reputable crane rental companies put crane safety first and also have experience with industrial and construction projects. Some crane rental services also provide trucking, hauling, rigging, logistics planning, and other crane related services. Rent cranes hourly, daily, monthly and annually. Good crane rental companies have qualified, certified, experienced crane operators, riggers, signal persons, and well maintained fleets of the best lifting equipment available. Bare crane rental: Sometimes companies have all of the necessary rigging, experience, and qualified or certified crane operators to complete the construction project without having the need to hire a crane service. In this case there are companies that can rent you just the crane or boom truck alone to complete your task. Many times crane dealers or equipment dealers rent or lease cranes to customers as part of their extended services. You will often need to show a proof of insurance and a crane operator certification card when you are looking for bare crane rental.